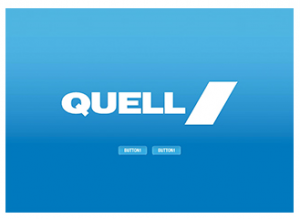 Quell is a consumer brand of Chubb, one of the most respected names in fire and safety equipment boasting over 100 years' experience in Australia. 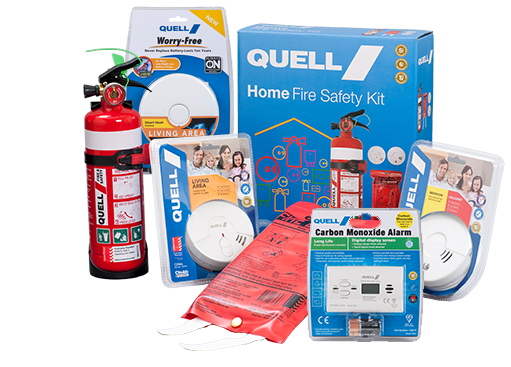 Quell produces a comprehensive range of user friendly and competitively priced smoke alarms, fire extinguishers, fire blankets and home and personal safety products that set the benchmark for fire prevention, detection and protection. Quell fire safety products are the result of tireless research and development and are submitted to comprehensive testing before going to market. As a leading company specialising in fire safety equipment, Chubb, through its ultimate parent company United Technologies Corporation (NYSE:UTX), invests heavily in research and development. Our commitment to quality and product innovation is unparalleled, which may be seen in our use of different sensors to detect different kinds of fires. Photoelectric sensors detect the types of fires that can smoulder for hours before bursting into flames whereas ionisation sensors are designed to detect fast flaming fires. Fire safety experts recommend installing both types in a residential environment. And then there is our carbon monoxide alarm, designed to detect the early presence of the toxic gas emitted from sources such as heating and cooking systems, vehicle engines, fuels and blocked chimneys. Our research and development efforts are underscored by our unflinching desire to protect people and property from fire.